One bedroom and one en-suite bathroom. Sleeps two. Hot Tub. Campion Lodge is one of five detached luxury lodges which are located in idyllic countryside on the Wakes Hall Estate in the breath-taking Colne Valley on the Essex/Suffolk border. 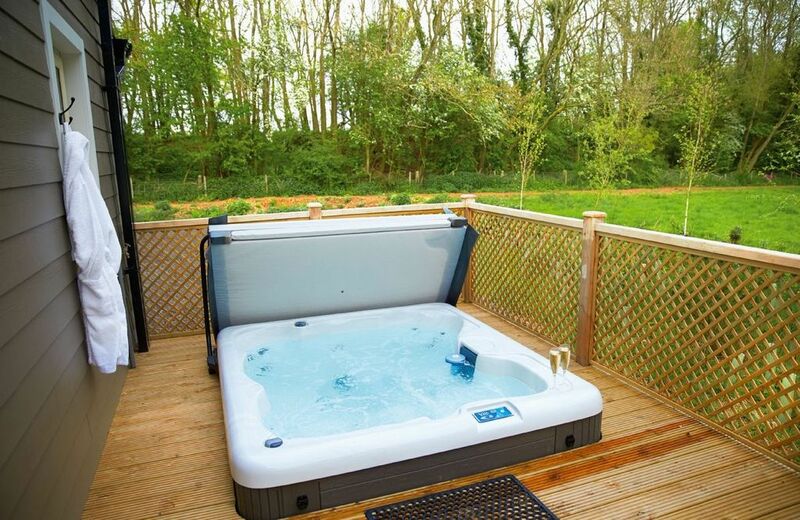 Each lodge boasts a verandah and the ultimate indulgence &ndash; a soothing hot tub, surrounded by 500 acres of land and walks to the village of Wakes Colne. Also available to book through Rural Retreats are Brook Lodge (sleeping two guests); Endymion Lodge (sleeping four guests); Ramson Lodge (sleeping four guests); and Woodbell Lodge (sleeping four guests).